In many cities, air pollution from fine dust particles and nitrogen dioxide exceeds the maximum threshold levels, according to a new report from the Environment Ministry. EURACTIV Germany reports. Residents of Stuttgart are currently exposed to the highest pollution levels in the Federal Republic, a report published by the German Environment Ministry showed. The study was conducted in response to an inquiry from the Green Party faction regarding certain regions that are known to exhibit high levels of pollution. Air pollutants are harmful to health and can be fatal in the long-term. To reduce these risks, Germany has set threshold values for certain substances. But these levels are being exceeded more and more frequently in many parts of the country. According to the research, Stuttgart often had an annual nitrogen dioxide level that was more than double the acceptable threshold value. Cities with pollution levels just below Stuttgart’s were Munich, Reutlingen, Düren, Limburg and Freiburg. Fine dust particles pose another serious problem. Here, the maximum is 40 µg up to a particle size of ten micrometres per cubic metre of air. Stuttgart exceeded this limit on 91 days in 2013. After Stuttgart, Reutlingen follows in second place, followed by Markgröningen, Tübingen, Gelsenkirchen, Hagen and Leipzig. Only 35 violations of the fine dust threshold are permitted per year. Particles in fine dust are suspected to contribute to diseases like asthma, cancer and cardiovascular illness. Not long ago, researchers at the Institute for Diabetes Research at the Helmholtz Centre in Munich were even able to provide evidence that air pollutants can accelerate the development of type 1 diabetes in children. Residents in Fichtelberg bei Oberwiesenthal are exposed to the highest ozone pollution. There, the threshold was exceeded on 46 days in 2013. “The environmental and health burden is devastating in many places,” said Bundestag MP Peter Meiwald. Apparently the federal government’s regulations are failing on many points, he argued. Meanwhile, most authorities and institutes consider it unlikely that the problem can be solved in the near future. The Umweltbundesamt (Federal Environment Agency) recently expressed doubt “over whether the EU threshold value for even smaller particles PM2.5 in urban residential areas, to take effect in 2020, can even be complied with”. 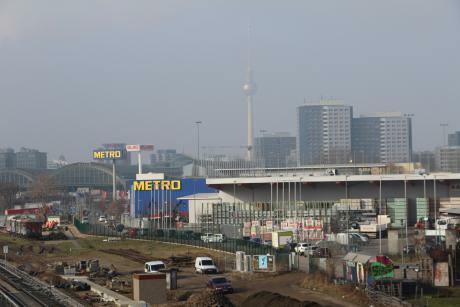 Jürgen Resch, CEO of Deutsche Umwelthilfe (German Environmental Relief) criticised the German government for acting too fast in its attempt to control fine dust and nitrogen dioxide pollution. “Other countries model how it can be done,” Resch indicated. In Switzerland, all construction vehicles and locomotives are required to be equipped with particle filters, he pointed out. Germany does not have a regulation of that kind, the politician criticised. The politician also said cities like Madrid or Stockholm also have much higher standards for buses, for example. “It is shocking, at how many recording points the threshold values are being exceeded,” said Green Party politician Bärbel Höhn. Almost every state of Germany has critical regions, she indicated. At the end of last year, the European Commission cautioned Germany over excessive air pollution due to fine dust – particularly in Stuttgart and Leipzig – and threatened to take legal measures against the country if the German government did not act. EU law requires member states to contain their emissions. But which individual measures the member state chooses to take, is up to national governments. Still, if Germany does not comply with threshold values soon, the Commission could be entitled to initiate an infringement procedure before the European Court of Justice. An estimated 90% of EU citizens are exposed to some of the most harmful atmospheric pollutants at levels judged dangerous by the World Health Organisation (WHO). The 2008 Air Quality Directive aims to streamline and reinforce European legislation on pollution and air standards. It is currently under examination. The directive obliges the member states to bring about a 20% reduction in their citizens' exposure to fine and medium-sized particles by 2020, compared to 2010 levels. The European Commission estimates the total health costs linked to air pollution to be between 330 and 940 billion euros per year. That’s an awesome decision they have taken, As the green house effect is increasing and that causes from emission so it’s the responsibility of us to be aware and always take precaution about how to emits less CO2 and that will help to reduce the green house effect. Most of all the vehicle users, if they are aware about the rules of controlling emission with the help of their vehicle then it will put a good impact on environment.